This Venice Custom Homes beauty will be the show stopper! Elegant home with a well thought out and spacious layout. Oversized lot with room for a pool, playing and more. First floor "in-law" suite includes private sitting area. Master bedroom suite offers luxury bath and a gorgeous custom closet. Subzero/ Wolf appliances. Exquisite light fixtures. Quality finishes. Zoned to Oak Forest Elementary. This home has it all! Estimated completion May 2019. OAK FOREST ELEMENTARY AWAITS AT THIS...Absolutely Beautiful Custom Home on 9000sf Lot. 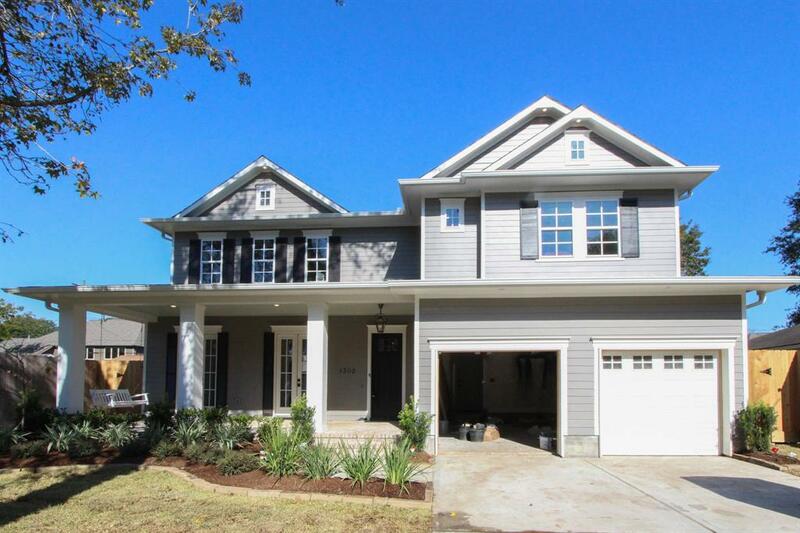 Two Story Grand Entry, 5 Bedrooms, 4.5 Baths, Study & Game Room Downstairs, Media Room Upstairs. HUGE Kitchen has Thermador S/S Appliances and Farm Sink Opens to Family Room with Cozy Fireplace and Built-ins. Butler Pantry off Formal Dining Room, Natural Light Abounds Throughout the House. Custom Contemporary Finishes. Big Master Suite with Access to Covered Patio and Outdoor Kitchen. Wired for sound, Large closets, Linen Storage. Oversized Garage. 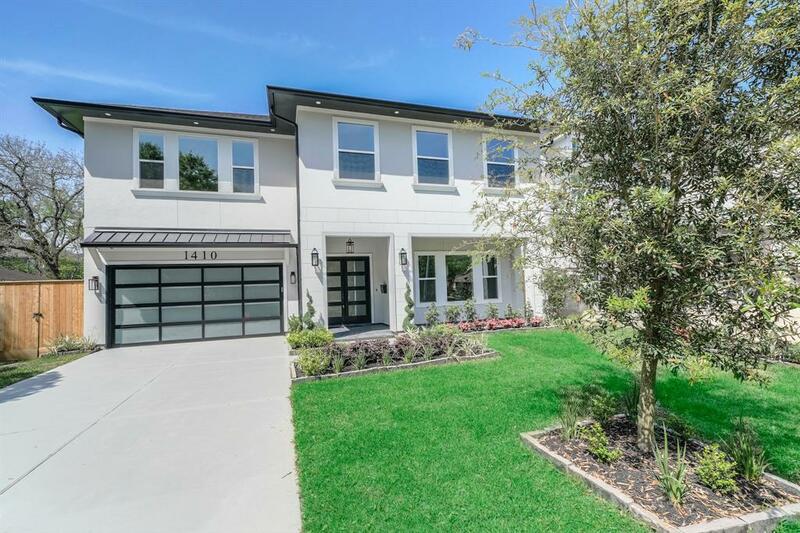 Located in the heart of Oak forest, zoned to the highly coveted Oak Forest Elementary, a custom home designed with natural light and open space in mind by Thakkar & Bell. The grand open to below foyer welcomes you as you enter this showcase home. The staircase to the left of the foyer houses sweeping 12ft windows at the stairs landing. The foyer leads you past your first floor study/guest suite with full bath. 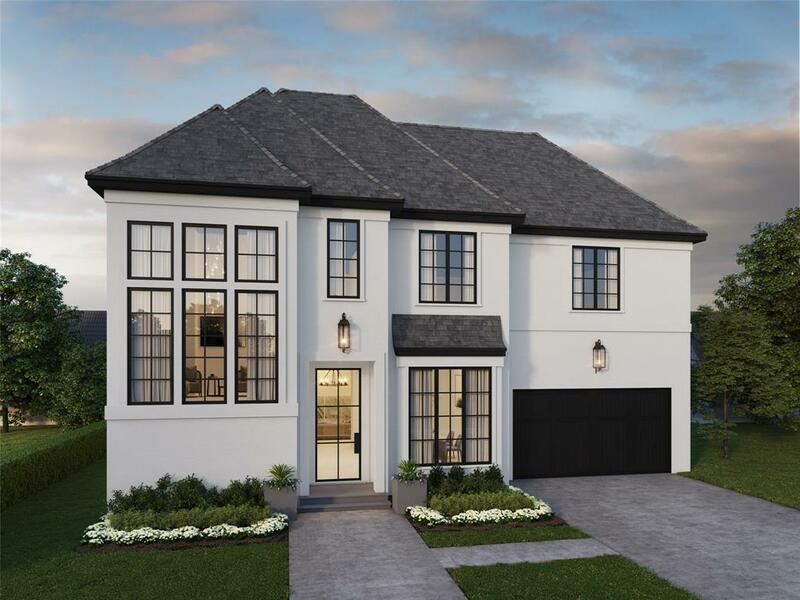 As you enter the rest of the main floor living you can find more natural light welcomed by the 3 sets of french doors leading from the family room out to the oversized back patio. The kitchen has custom designed cabinets that run to the ceiling, an over-sized 11' island with seamless quartz counter tops and sub zero-wolf appliances. The second floor is anchored by a master suite with a huge master closet and attached laundry. Second floor living/games room is central to 3 spacious secondary bedrooms. Imagined by Resources Builders, 1347 Wakefield will exude a quiet elegance, intertwining timeless charm with modern day comforts. 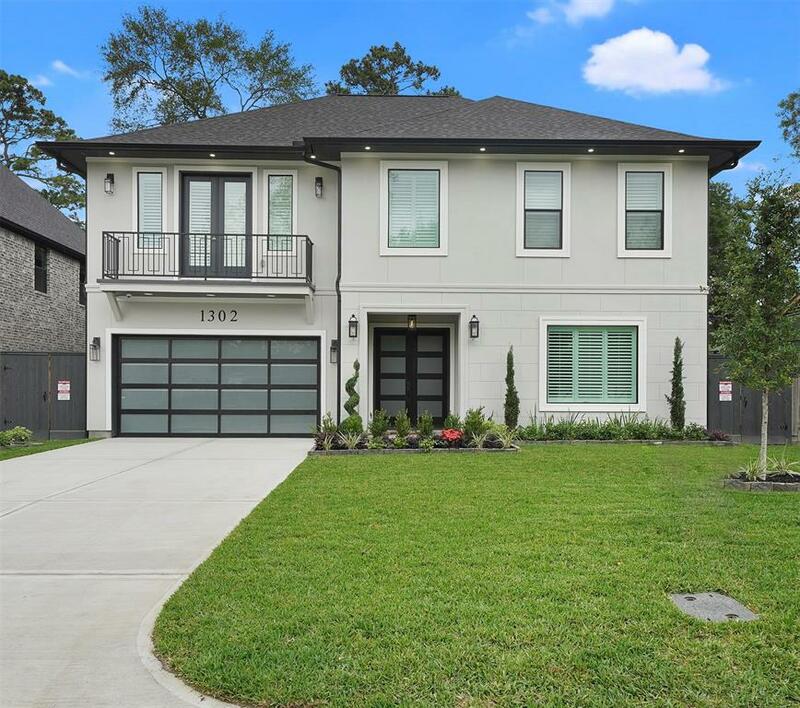 Situated on 7,510 sq.ft and zoned to Oak Forest Elementary, this 4 bed, 3.1 bath home will offer a game room and study, coupled with large formals for entertaining. Quartz-cloaked kitchen will be outfitted with a stainless steel appliance package and large eat-in island. Covered patio transitions seamlessly into your backyard, boasting a summer kitchen, sprinkler system, and expansive green space that could readily fit a pool, playset, and more. Contemporary elegance with a well thought out and spacious layout. Master bedroom suite offers separate luxury bath and two gorgeous custom closets. Subzero/ Wolf appliances. Exquisite light fixtures. Quality finishes. First floor study with a full bath can be used as a 5th bedroom. Zoned to the highly sought after Oak Forest Elementary. New Construction by Wood Custom Homes features 5-6 Bedroom's and 5 Full Baths with a 1st floor study and formal dining room. The master suite located on the second floor offers a private en suite bath with an enormous master closet! 1364 Du Barry Lane also offers a deep covered front and back porch. The large Family Room is open to the Breakfast, Dining and Chefs Kitchen. The spacious kitchen features custom site built cabinetry, natural stone counters and a high end Thermador appliance package. Second floor includes a Game Room wired for surround sound and 3 bedroom's each with a private en suite bath and spacious walk in closet. This home comes equipped with camera pre-wire, alarm pre-wire, and outlets neatly tucked away throughout the baseboards as well as a sprinkler system. There's even room for a pool! 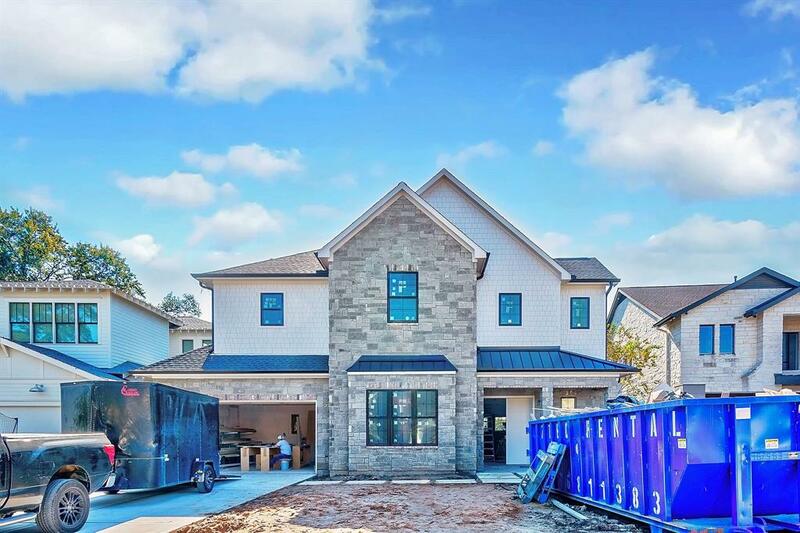 This NEW construction home by Pavilion Builders offers an incredible floor plan with 5 Bedrooms, 4.5 Baths, 2 utility rooms & large covered patios on both floors. The spacious kitchen features a large island, marble counters with a leather finish, a Limestone backsplash, an abundance of storage space and an incredible appliance package including a 54" Thermador refrigerator, a 48” 6-burner Thermador range with griddle accessory, a wine cooler & a separate beverage cooler! 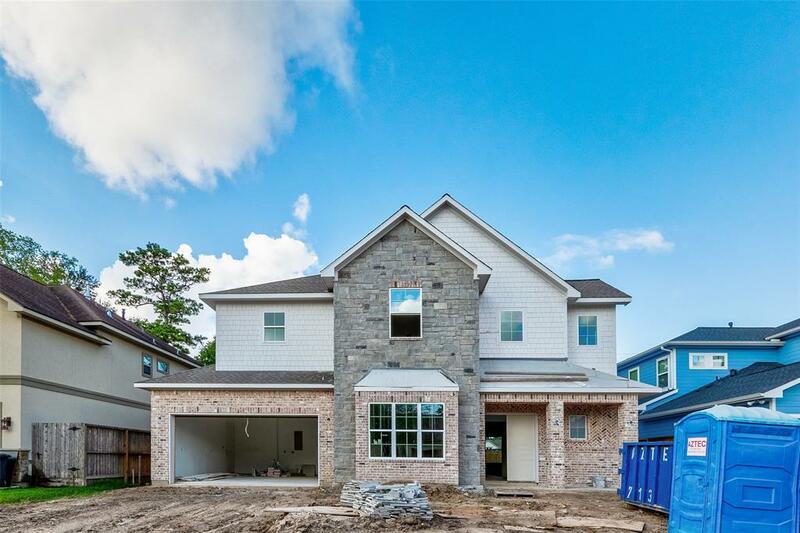 Home also includes speaker pre-wire, a full sprinkler system, a TPO membrane roof, 2x6 framing, open cell spray foam insulation, RAM casement windows, custom site built cabinetry, hardwood flooring throughout and so much more! 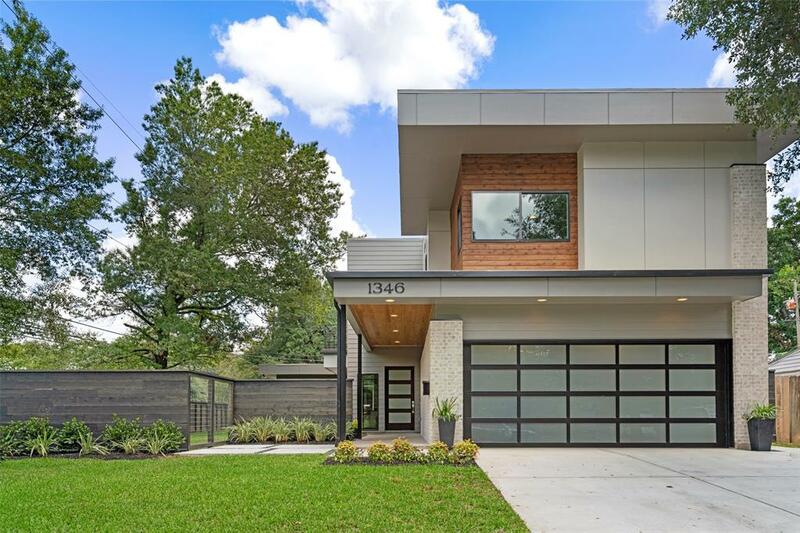 Additional high end features include huge sliding glass doors that open to deep porches and patios, a modern open stairwell and a glass garage door. 3 exterior cameras, ring doorbell and so much more! ***Please note builder can install pool for additional cost. 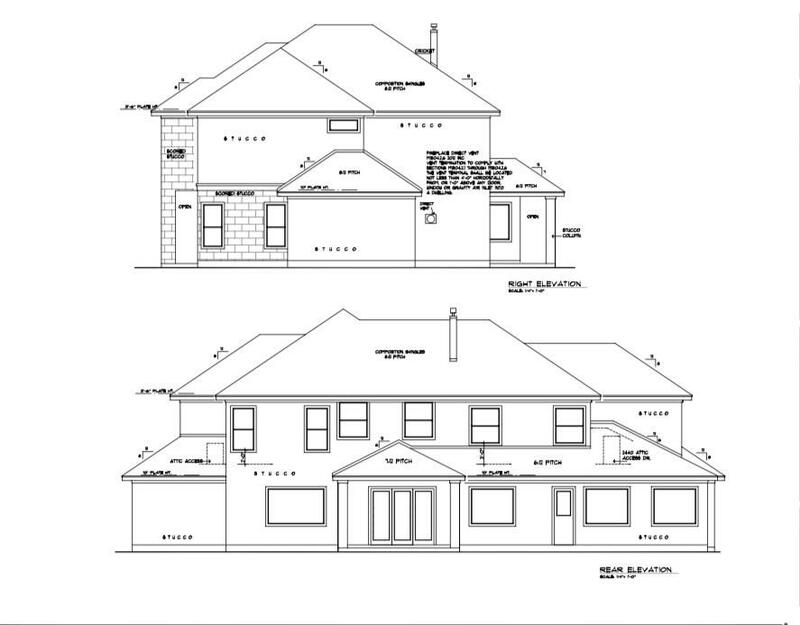 This New Construction Home by Wood Custom Homes is located in sought after Oak Forest! 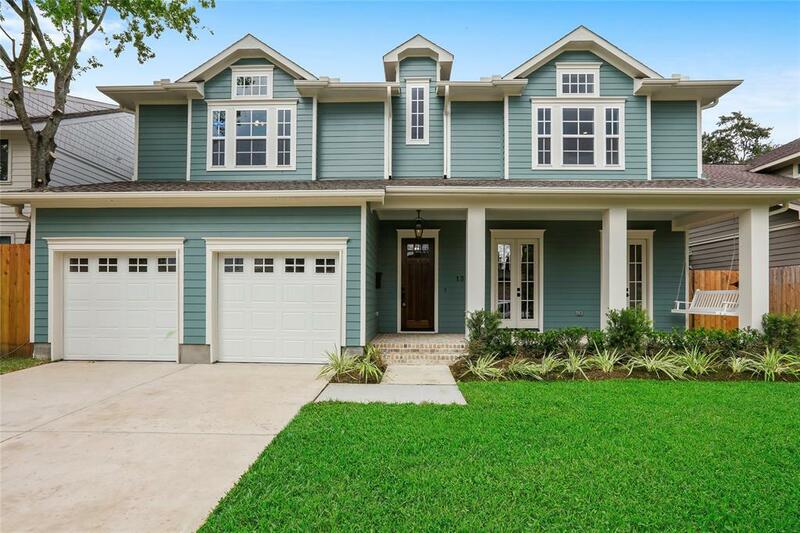 1302 Martin will feature a deep welcoming front porch, 5-6 Bedroom's, 5.5 Baths, 1st floor study, 1st floor master suite with spa like master bath. The Large Family Room with a custom fireplace is open to the spacious Chefs Kitchen that offers custom site built cabinetry, under cabinet lighting, natural stone counters, recessed lighting, hard wood flooring, a large island with designer selected pendant lighting, and a high end Thermador appliance package! The second floor features a Game Room wired for surround sound and 4 bedrooms each with walk in closet. This home will also offer camera pre-wire, alarm pre-wire, outlets neatly tucked away throughout the baseboards, a sprinkler system and room for pool!